DESCRIPTION: Up to 4mm in diameter these midge induced galls start greenish in colour before turning a deep glossy red. 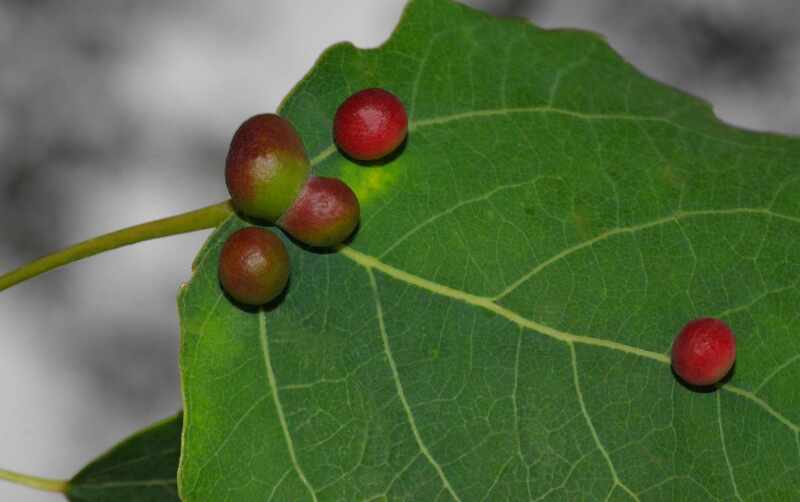 The gall is tough and has a thick outerlayer with each one containing a single orange-red larva whom leave the galls in late summer and pass the winter in the soil before pupating in the spring. DISTRIBUTION: Widespread and frequent throughout late summer. HABITAT: Found on the leaves of Poplar trees.